Sometimes, as in last month’s column, the wealth of information is so huge that it can be difficult to decide what to do during your visit. For that reason, we asked “Polly” (not her real name) — a Dallas area resident who enjoys walking, bicycling, and using DART to visit and explore Dallas and its many neighborhoods to share some tips and suggestions for visitors who want to enjoy the city of Dallas without needing to drive. (For privacy concerns, this resident requested that we not use her real name.) The rest of today’s column is based on Polly’s suggestions that are based on her own experience and ideas from local friends and other residents. Use DART rail and buses whenever possible. 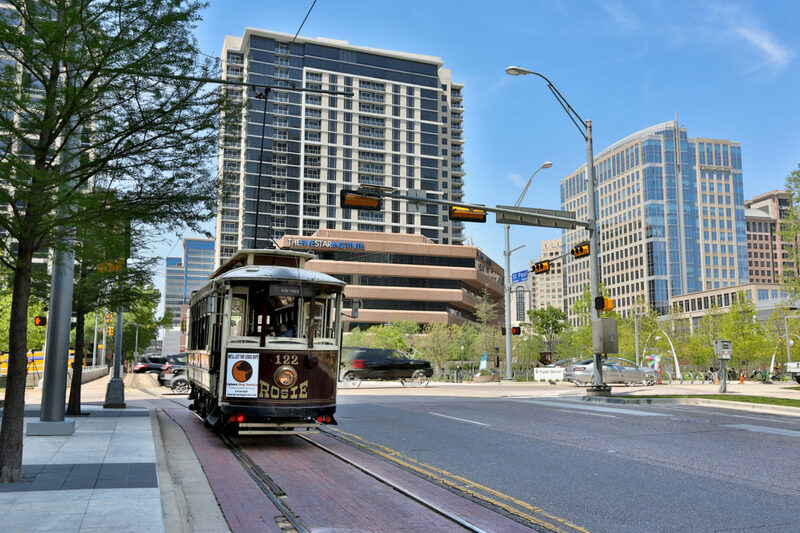 Most Dallas attractions, entertainment and neighborhoods are within walking distance of a DART rail stop. Most other places can be reached by taking a DART bus, generally with a free transfer from a DART rail station. The GoPass app (http://www.dart.org/gopass/default.asp) makes it easy to purchase tickets and look up schedules. Be sure to check the schedules daily, especially during the weekends since they tend to change. D-Link: The D-link just added a stop in Deep Ellum. So, if you’re in downtown it’s the perfect way of getting to Deep Ellum to meet friends or coworkers for happy hour or dinner after work. 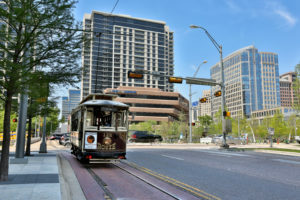 Dallas Streetcar (https://www.dart.org/riding/dallasstreetcar.asp) If you have never ridden on a streetcar, this can be a great experience in itself. The Dallas Streetcar operates seven days a week between Union Station and the Bishop Arts District, every 20 minutes from 5:30 a.m. to midnight. You can use one or more of these free transportation choices to reach various entertainment districts like Bishop Arts, Uptown, Dallas Arts District, Deep Ellum, Harwood and Design District. Union Station is the hub where many of these connect and a transfer point for the Trinity Railway Expressway. Have the e-frogs phone number handy: (469) 432-4055. E-frogs are electric vehicles similar to golf carts that take you around the districts in downtown for free. Don’t forget to give them a tip. E-frogs provides shuttle service to Uptown, Downtown, Oaklawn, DeepEllum, Arts District, West End, and Victory Park. If you use e-frogs, ask your driver to suggest restaurants, entertainment ideas, and what else is special. 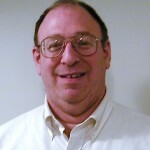 The web site for E-frogs is www.efrogsdallas.net. Always look for a hotel with a complimentary shuttle or car service. Start in Deep Ellum at Local Hub Bicycle Shop (https://localhubbc.com or call (214) 484-1019) where you can rent good quality bikes every day but Monday. Their blog has a short article about visiting Uptown by bike: https://www.localhubbc.com/2016/12/05/explore-uptown-on-rental-bikes/. From Deep Ellum, join the Santa Fe Trail and ride four miles to the White Rock Lake Trail which is approximately 9.5 miles long. This is what most serious bikers will do. Bike along Dallas’ White Rock Lake and be ready to join other trails that connect to this one. You can also rent a bike in Dealey Plaza, right outside the Sixth Floor Museum, with “Dallas City Tours” (http://www.dallascitytour.com/bike-rental.html, or call (214)314-0700. From here head north to Victory Park, pass American Airlines Center and join the Katy Trail (3.5 miles), Dallas’ most popular hiking and biking trail. Don’t try to resist the Katy Trail Icehouse, offering American food, local beer and one of the best places in Dallas for people watching and mingling with the locals. Another alternative is to head to the Design District, here and rent a bike from “Red Star Bicycle Shop” (http://www.biketexas.org/es/about/partners/bike-shops-business-members/138-dfw/1704-red-star-bicycles-dallas, or call (214) 741-6069. This is also a good choice for serious bicyclists who want to rent bikes. From here join the “Trinity Skyline Trail” (4.6 miles). This trail will have the best skyline views, and is close to the art galleries in the Design District, Peticolas, Community Beer and Texas Ale Project as well as the more than 12 restaurants at Trinity Groves. You can combine this trail with the Katy Trail. Polly tells us, “When out of town friends and family members plan to visit, I ask them if they want the convenience of staying downtown, or if they prefer a less hectic neighborhood. “If they want to stay downtown, I recommend either The Fairmont or Sheraton Dallas. Both hotels are within walking distance of the Arts District and Klyde Warren Park. Katy Trail in Uptown has a great trail and is centrally located. From downtown you can take the McKinney Trolley. The Dallas Arboretum and Botanical Garden offers impressive flower displays. Take a walk around the garden and find a spot for a picnic. After your picnic, continue your walk on the White Rock Lake trail. Other walkable areas include Trinity River Skyline Trail, Bishop Arts and Deep Ellum. When we travel, each of us has our own special interests. In addition to popular sights, we enjoy attractions and places to visit that reflect our unique interests and needs. We asked Polly to recommend several half-day or day-long outings for our readers. Start your morning horseback riding at the Texas Horse Park (http://www.riverranch-texashorsepark.com/, or call (214) 469-2660. To get there, take DART’s Green Line marked Buckner. Get off at the Lake June station, and transfer to bus #594 going to Spruce High School. Get off at Pemberton and Jeane Streets to reach the Texas Horse Park. On weekends, buses leave the Lake June station every hour: 59 minutes after the hour. Returning buses leave Pemberton and Jeane Streets every hour: seven minutes after the hour. Return to downtown. Your destination this afternoon is the Botanical Gardens and Arboretum: 8617 Garland Road (http://www.dallasarboretum.org/ or call (214) 515-6615. The DART bus to take is the #60. Catch the 60 at either Elm and Austin or Houston and Young. On weekends, the 60 runs approximately every hour. The trip takes about 44 minutes each way. Enjoy a picnic at the arboretum. Then, end your day downtown with dinner at Klyde Warren Park. Another idea for an outing is to visit the Dallas Zoo ( http://www.dallaszoo.com/). Two of Polly’s favorite places to take her kids are the Perot Museum of Natural Science (http://www.perotmuseum.org/) and the State Fair of Texas (http://bigtex.com/). Both are within walking distance of a DART rail stop. The Dallas Museum of Art is a must-see. For art lovers, the Design District is lined with art galleries. My friends who are artists or just love to see paintings and sculptures, or just visit an art gallery or two, enjoy spending an entire afternoon or day walking around. Download the Pegasus app (https://dartdallas.dart.org/2014/07/16/explore-downtown-dallas-and-dart-landmarks-with-new-pegasus-urban-trails-app/) and explore downtown Dallas on your own. Pecan Lodge in Deep Ellum: Many say is the best BBQ in town (I tend to agree). Expect juicy brisket, decadent banana pudding and a very casual ambience. Expect a very long line. The line moves fast though, and it is worth it. If you are with a group, I recommend the trough which includes an array of meat for 4-5 people. Here the clientele is as diverse as it gets. The only requirement is to love meat (although we know a vegan that has cheated on her diet a couple of times or more here). LUCK in Trinity Groves: The name stands for Local Urban Craft Kitchen. Expect Texan food and a large selection of local brews. La Ventana: Behind the equally delicious Meso Maya, La Ventana offers an extremely casual setting for those looking for authentic tacos in a central location (walking distance from the Perot Museum). La Ventana is the kitchen window of Meso Maya. Sit at casual benches in a patio setting. Find anything from executives looking for a quick bite to eat and the local young professionals from Uptown. The Rustic: Although they serve good food (try the fish), I like this place more for the ambience. Live country music almost every day, a large selection of local brews and a huge beer garden. The place is as the name describes, rustic and very Texan. Expect mostly young professionals from Uptown, but also all those looking for a patio, live music and local beer. 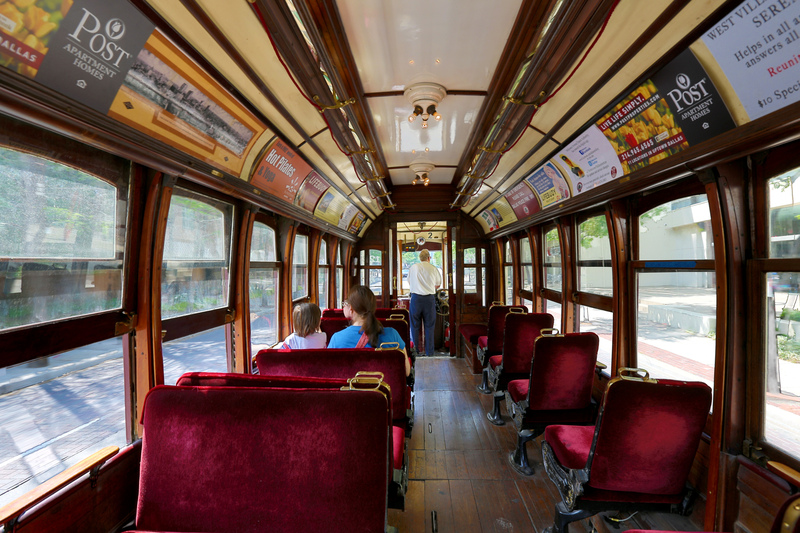 Get here with DART or the historical trolley. Some vegan friendly options include: Kalachandji’s, which is a buffet-style Indian restaurant about four miles east of downtown. It’s worth the Uber ride and it is also on the bus line. It is inside the Hare Krishna Temple and has a great ambiance. Other favorites are La Ventana for their veggie tacos and Mudhen, which offers local fresh vegetable and meat options. Both are located in the Farmers Market. The Dallas Arts District is a great place to go to for dinner at Savor in Klyde Warren Park before seeing a performance at AT&T Performing Arts Center. In Victory Plaza, sports fans can catch a Dallas Mavericks game or Dallas Stars game. Close by, the House of Blues holds concerts several nights a week. Deep Ellum is also great! Check out Starlight Lounge. It is owned by a local musician/ sports radio DJ. Whether it is a live band playing or the lounge’s juke box, there is always music playing! There are also amazing off-beat galleries and shops and a comedy house, and smaller music venues that always have something going on. Head to Mockingbird Station (literally next to DART’s Mockingbird station) to see the Angelica Theater and then enjoy the live Irish music at Trinity Hall. The Granada Theatre is a great spot for live music on Greenville Avenue. Visit Highland Park Village during holiday season for shopping, good dining and the horse carriages that go along beautifully decorated homes. Would you like to move here? Downtown and Uptown are natural choices with so many public transportation options available. Bishop Arts area has easy access to the Dallas Streetcar which gives you easy access to downtown. Mockingbird Station or Deep Ellum are also good choices for car-free living. For details about how to get to destinations in Dallas, read last month’s Car Free Journey: Dallas Part 1, or call DART at (214) 979-1111. Press “1” for English, then “1” for fixed route bus and rail schedules, and then “0” for a live customer service representative. You can also visit DART.org. You can talk with a live DART customer service representative: Monday-Friday: 6 a.m. – 8 p.m. Saturday, Sunday, and Holidays: 8 a.m. – 5 p.m. Call toll-free: 800-232-5527, Call locally: 214-571-1000. Steve Atlas welcomes your comments, and suggestions for cities or vacation destinations to feature in future Car Free Journey columns. E-mail steveatlas45@yahoo.com.